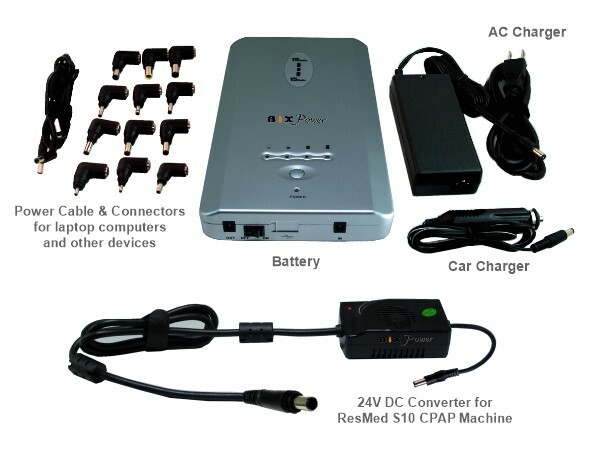 This package comes with a BiXPower super high capacity (159 Wh) lithium ion rechargeable battery pack and a 24V DC converter specially designed for a ResMed AirSense 10 CPAP machine. It can add 6-10 hours of extra running time for most laptop/notebook computers and 15-30 hours for most ultra-books & tablets. It can also power ResMed AirSense 10 CPAP machines for 2-3 nights with the humidifier turned off. This battery has a capacity of 159 Watt-Hours (44,100mAh). For comparison, most laptop internal batteries only have around 40-60 Watt-Hours. This battery has 19V output that is compatible with many devices that need 18V, 18.5V, 19V, 19.5V or 20V DC power. 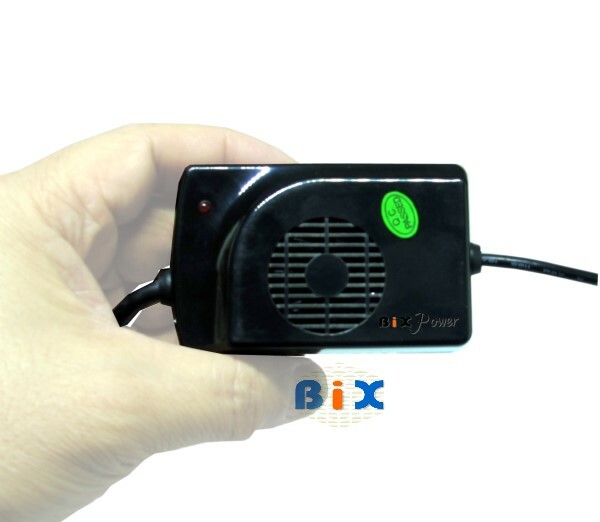 The 24V DC converter is specially designed for the ResMed CPAP Machine as it can convert the battery 19V output voltage to 24V DC power. The 5V USB port can power many small devices such as smart phones, tablets. Its compact size allows it to easily fit into a laptop/notebook carry bag. 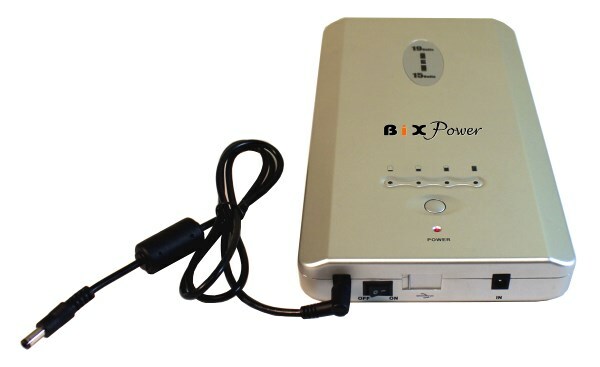 The package also includes 12 popular interchangeable connectors (may change from time to time without notice) More optional connectors are available from BiXPower. You can use the 5V USB Port on the battery to charge cellular phones, MP3 players, or other small electronics that can be charged from a 5V USB port. 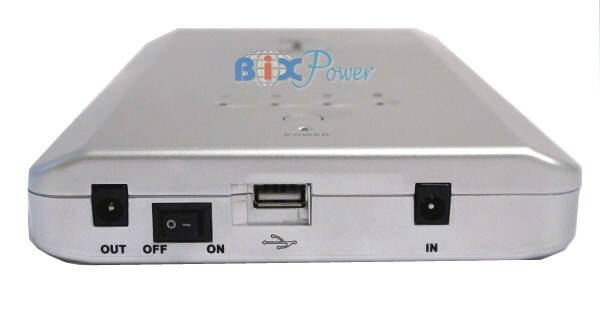 However, the battery pack does not come with any cable or connector tips for this SB port. 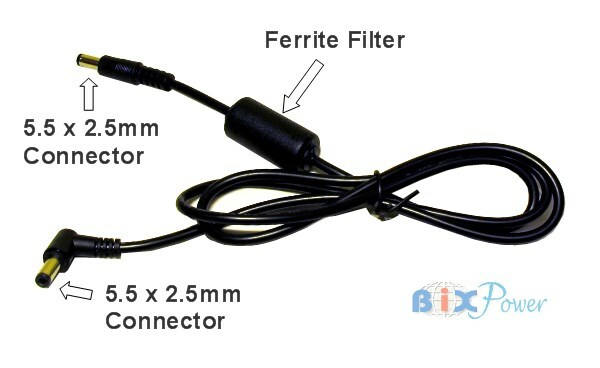 If you would like, you can purchase our Z4 cable and connector tips, which will work for this port. To quickly charge the battery, we recommend to charge the battery while it is not in use. The output cable (Z6 Power Cable) has one end that will connect to the battery output port. The other end has a 5.5mm x 2.5mm connector which will fit a lot laptop notebook computers and other devices. 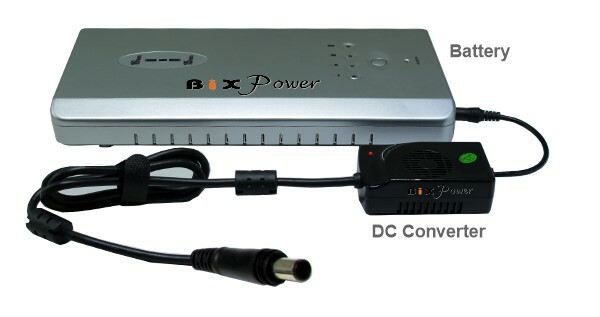 If the Z6 cable connector does not fit your laptop notebook computer, you can use BiXPower C series connector tips to change it to many different connector tips. C series connector tips may need to be purchased separately. 3. For ResMed CPAP Machine, please set the battery output voltage at 19V, then connect the 24V DC converter to the battery output port.